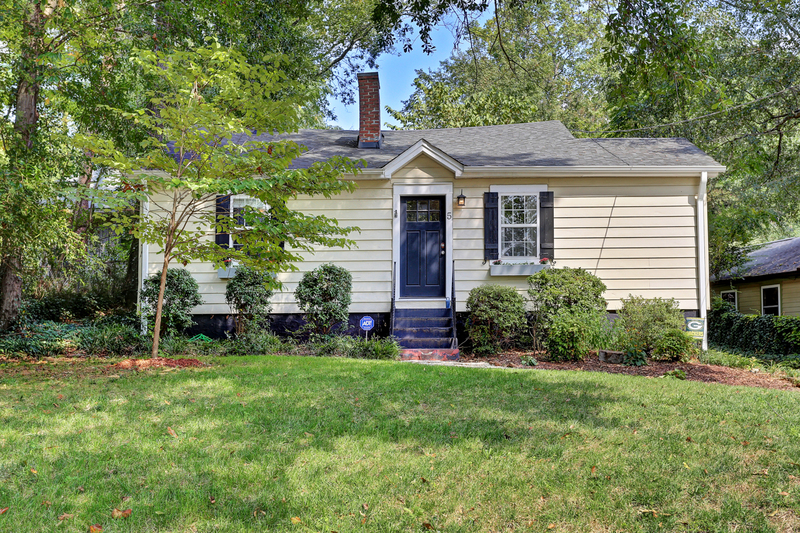 Located in the popular Historic Overbrook, this little charmer of a home offers endless potential! Just 2 miles from Main Street, easy access to I-385, airport, schools, parks, and all the facilities and amenities in Greenville SC. The home itself is a ranch style one level home with a total of 2 bedrooms and 1 bathroom. The original hardwood flooring is still pretty much alive and well cared. The charming kitchen has just been updated. Beautiful crown molding throughout the dining room, kitchen, and the master bedroom. Cozy living room with double sided fireplace. A bonus room that can be used as a small bedroom or an office space. A perfect size back deck for entertaining. This charming home for sale in Overbrook is warm and inviting, the living spaces are complimented with original and new hardwood flooring. The neutral color of the home interior instill calm in the rooms and makes the home feel more spacious. The kitchen has just been updated and features ceramic tile and granite countertops along with beautiful wood cabinetry and window over sink for more natural lighting. There is a double-sided fireplace that opens up to two different rooms, one in the cozy living room and the master bedroom. You will love the crown molding throughout the dining room, kitchen, and the master bedroom and the arched doorway to the dining room. Enjoy all seasons in the inviting back deck overlooking the yard with its expansive ground great for your four-legged friends or little ones while the rest hang out on the deck area.